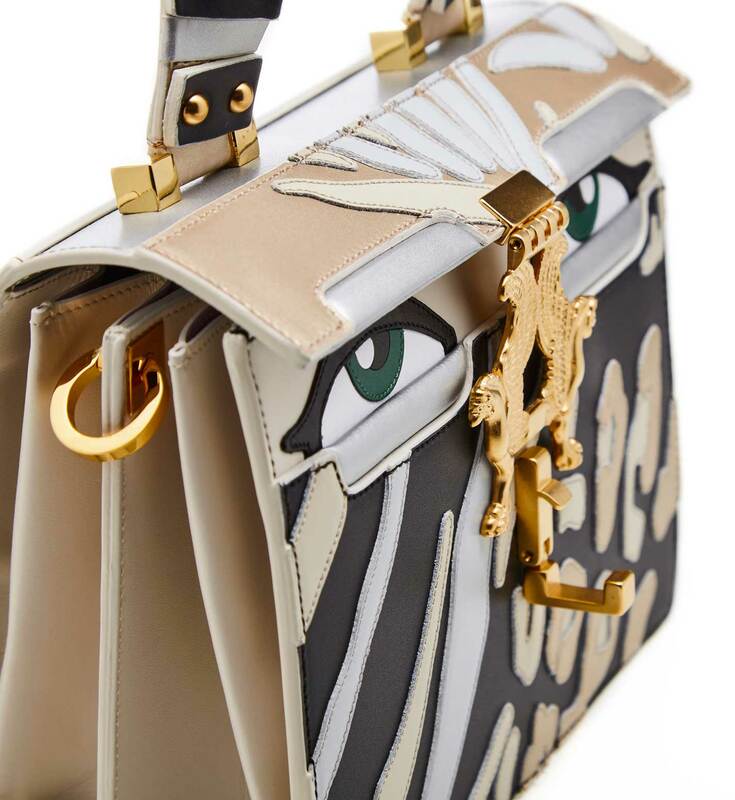 Giancarlo Petriglia’s iconic ‘Miss Green Eyes’ bag has been made in Italy from smooth gold and black leather that opens into two leather compartments with one zip-pocket. 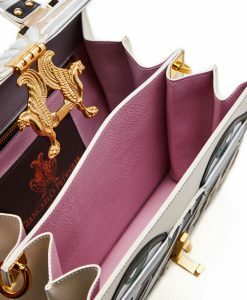 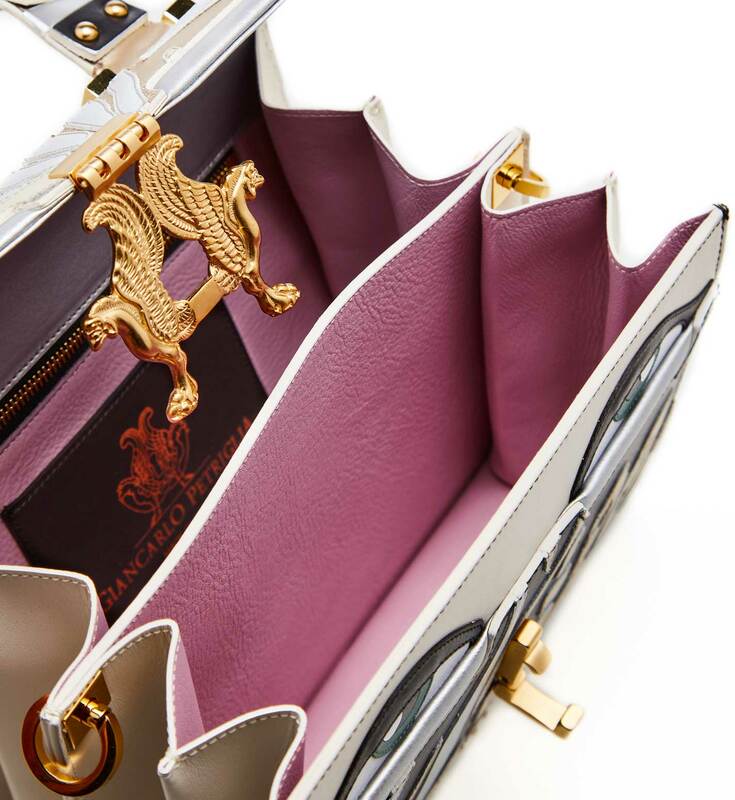 There is plenty of room inside to organize your essentials like agenda, wallet, mobile phone, tablet, keys and make up. 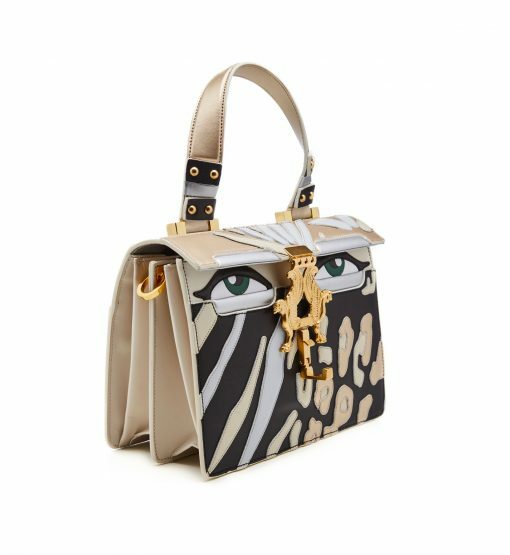 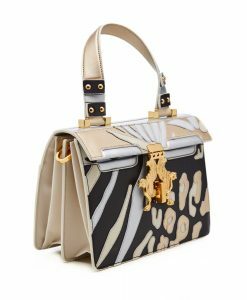 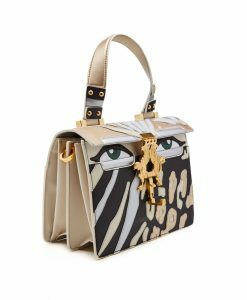 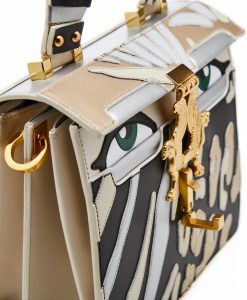 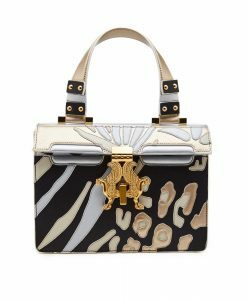 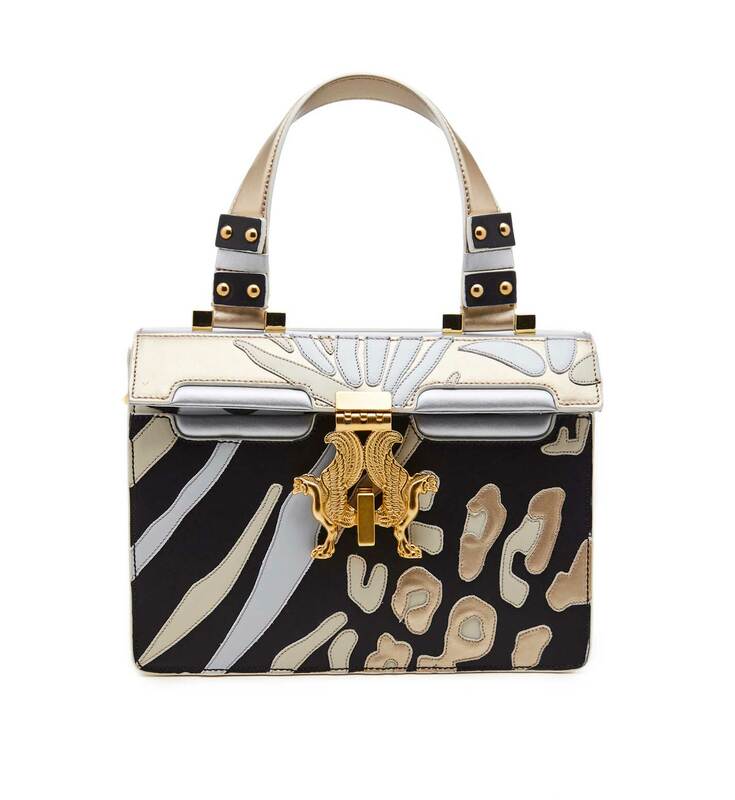 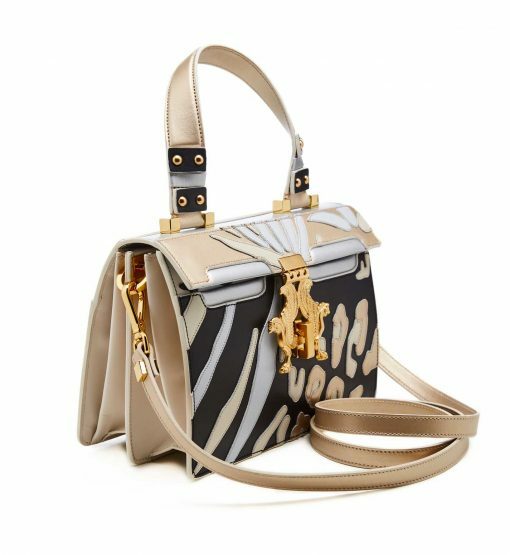 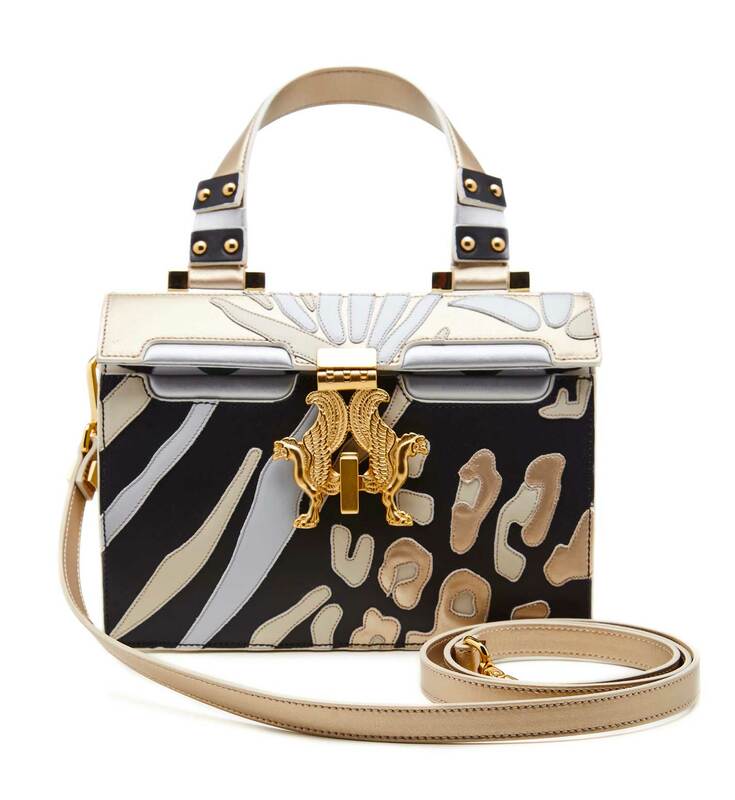 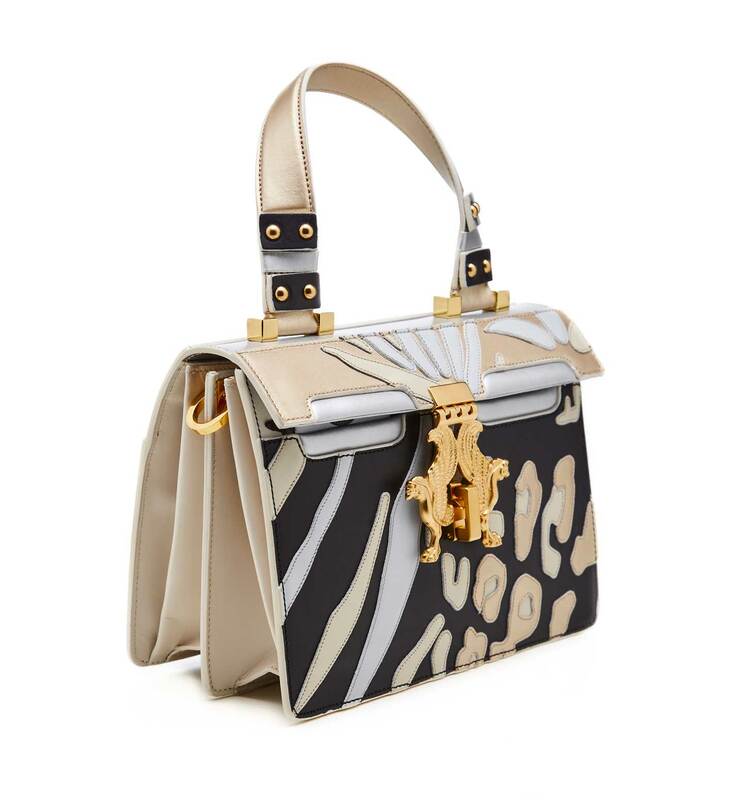 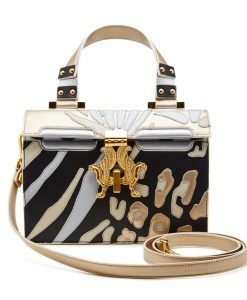 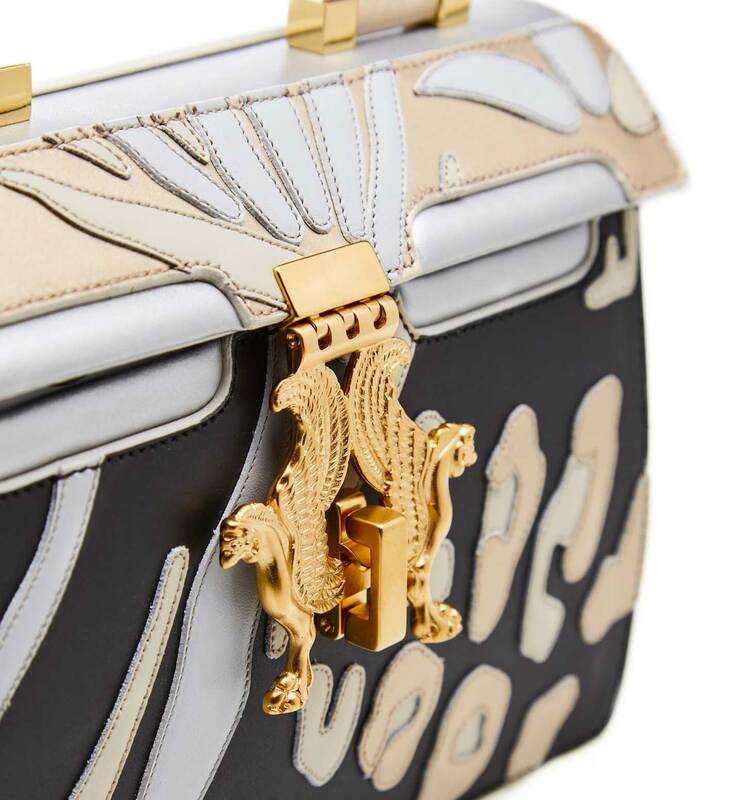 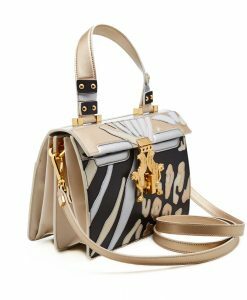 This expertly crafted bag is embellished with the brand’s recognizable symbols – eyes playful motif and eye-catching gold hardware – meticulously applied by hand. 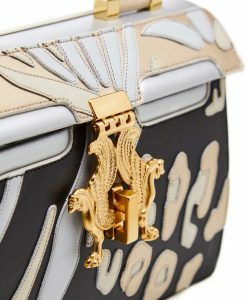 Play with the front gold griffins buckle fastening to reveal the green eyes. 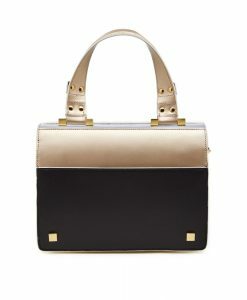 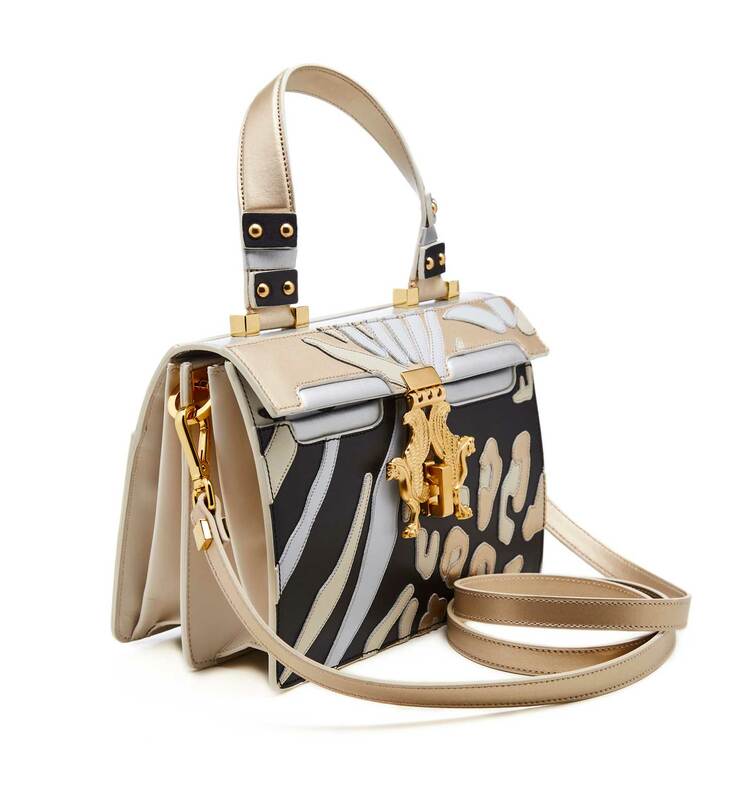 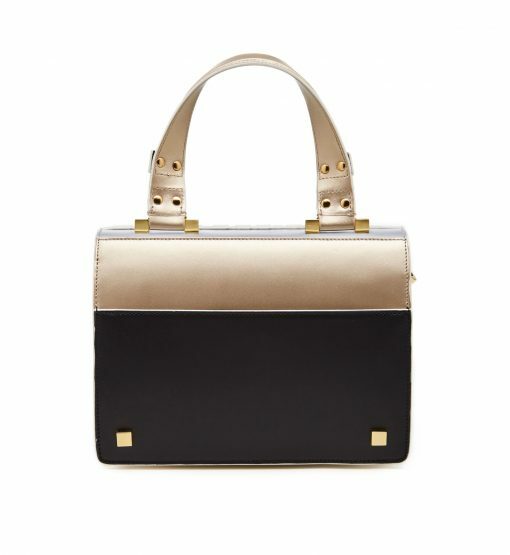 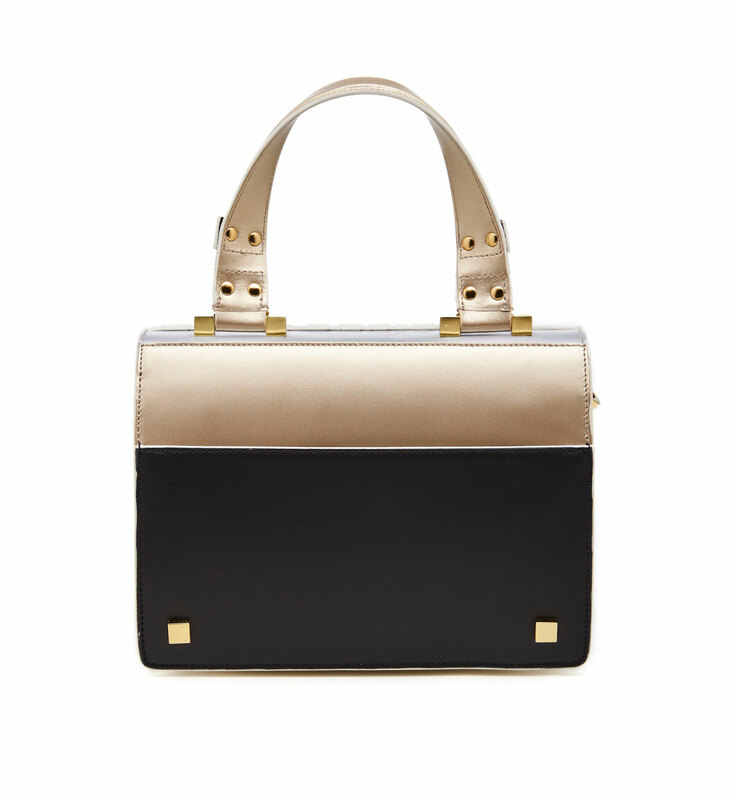 Carry yours by the top handle or use the strap for an optional style look.